Natural Rugs - Experience The Exceptional Range At Carpet Court! When choosing a rug for a room in your home, it is important to think about who will be living in the space, how robust do the areas need to be to withstand foot traffic and moving of furniture? Also, if your family suffers from allergies, you should look towards a non-shedding option. Carpet Court has a huge variety of rugs to choose from, including a fantastic selection of natural rugs. Offering a blend in wool, cotton or jute, Carpet Court's natural range of rugs are a great choice no matter what your lifestyle. What are the benefits of natural fibre rugs? Natural fibre rugs are derived from renewable, eco-friendly plant or animal resources such as jute, cotton, wool and sisal. They introduce an earthy, organic element to your interior design while being easy on the eye, the environment and on the minds of the eco-conscious. A host of benefits are apparent when you consider natural fibre rugs. With the exception of 100% pure wool, fibres such as jute, sisal and cotton make relatively inexpensive rugs, so if your budget is tight, consider a natural fibre rug. They are extremely versatile, blending with casual, ultra-modern or coastal home designs as well as fitting right in within traditional and formal home environments. Their natural textures and neutral colours bind styling elements together, allowing you to create a comfortable look within a wide scope of designs. Somehow natural fibre rugs manage to appear warm and inviting in winter yet cool and fresh in summer – a talent not so easily displayed by synthetic rugs. Even pure wool, while being a natural fibre, doesn’t create the same cool vibe during hot summer days that jute, sisal and cotton achieve. Natural fibre rugs are the perfect rug to introduce the trending layered look in your living areas or bedrooms. Their subtle, textured appearance and neutral tones create a great base for other textures, colours and shapes. Using natural fibres in neutral tones allows you to create a sense of organic warmth and comfort in a room, leaving the pizazz to come from pops of colour in your accessories. What rugs are made with natural fibres? Many Carpet Court stores have a range of natural fibre rugs in jute, sisal, cotton and wool as well as blends of each. You can also order your gorgeous new rug directly online from the selection displayed. Popular choices include Abode Diamond, hand made in India from 50% cotton and 50% jute. Available in seven classic colours, Abode Diamond is a double-sided rug perfectly designed to enhance a variety of living spaces. Exploring new concepts in rug design, Urban Flatweaves and Rustic Charm add flair to the home décor with stunning combinations of leather, jute, cotton and wool. Eco Sisal, Tobra, Haven and Carnac are durable and stylish in pure sisal, pure wool and pure cotton respectively. Introduce simplistic elegance with the subtle shades of Eco Sisal or add interesting geometric designs through the others. 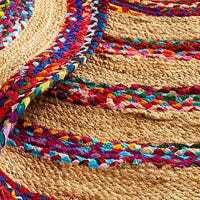 Liven up casual spaces with a splash of colour in your kitchen, sun room or trendy dining nook displaying Atrium Jute or Atrium Multi flat-woven in natural jute. What are the best natural fibre rugs for living rooms? Whether your living room is casually comfy or stylishly sophisticated a natural fibre rug will enhance the visual appeal and the mood. As living rooms receive a fair bit of traffic, durable and resilient rugs are ideal for withstanding everyday activity and the diverse demands of family living. Made from 100% cotton, Carnac is hardwearing and easy to clean and maintain. Haven and Tobra offer the natural stain and soil resistance of pure wool, while the hardwearing properties of 50% cotton and 50% jute found in Abode Diamond are appealing. With a flat weave construction which is easy to vacuum, Abode Diamond has the added bonus of being reversible. Urban Flatweaves and Rustic Charm are designed to deliver both performance, visual appeal and stylish design to any living room. Are natural fibre rugs soft? 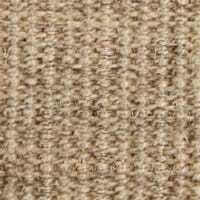 Pure wool is the softest natural fibre underfoot with jute and pure cotton or cotton/jute blends coming in second. When it comes to softness synthetic rugs rule over natural fibres, but how can synthetic rugs compete with the visual appeal of natural textures, the healthy organic beauty and the eco-friendly nature of a natural fibre rug? Are natural fibre rugs easy to maintain? Just as you would with carpet or floating floors, when it comes to natural fibre rugs it is important to follow the manufacturer’s care guide. Natural fibre rugs have different needs when it comes to maintenance but regular removal of dust and debris and prompt attention to spills should keep your natural fibre rug looking great for years to come.